sweaty. He was going to fumble this if he didn’t calm down. “Did you get it?” she whispered. “Hold on,” he muttered and snapped the picture, squinting. “It sounds like a child,” Terra said, and moved forward. “What are you doing?” he hissed, and grabbed for her. “Terra!” he screamed and ran forward. “Ter?” he whispered and put a hand to her cheek. “I don’t know,” he said and pulled her to stand. who’d barreled into them both. “You hear it?” she said. “Come here, come here,” she said and motioned him forward. “Is it a ghost?” he whispered. “It’s a little girl’s grave. Madison Hall. Born in 1994.
couldn’t hear it any longer. “No, no, we need help,” he whispered. “Terra, go call 911. “Well, yes, but they don’t take any more … ah, bodies. “Did you read the article?” he finally said. “Buried alive, Mulder?” she asked gently. “They thought she was dead, Scully. The family buried her. “I’m glad they didn’t have her cremated,” she muttered. “Thing?” Mulder said, tilting his head. “It made you afraid?” Scully asked. “Something like that. It’d been in the caretaker’s shed. “Old-fashioned?” Scully inquired, raising her eyebrow. as the woman shrugged at Mulder’s question. stroked the top of her child’s head. forward to tug on Mulder’s jacket. behind them — Dave Hall as silent and stoic as before. Mulder chewed on his lip and touched the girl’s knee. “Far away. Like when Micah and I talk through tin cans. “I bet that hurts, doesn’t it?” she said sympathetically. he knew the drill — that had been him not two months ago. and saving that little girl didn’t repay the debt he owed. “A wannabe Juliet?” Mulder tossed to her. “She’s been the only kid to get so deathly sick as well. She glanced up at Mulder’s grim, yet somewhat amused eyes. “Why me?” she asked, glancing suspiciously back to Mulder. she wouldn’t be strong enough to pull him out. shoulder joints. She wasn’t heavy, but his arms ached now. “I’m okay. The bottom was about six inches below my feet. “Of course. I think our mystery man left something behind. as if he didn’t understand her words. “Thanks,” he said and stepped away from her. Surely their power didn’t reach this far. “Who called it that?” Agent Scully jumped in, eager now. “Motivate you for what?” Agent Mulder asked, frowning. leaders hadn’t long ago decided to eliminate evidence. over,” he said finally. “In fact, it feels very unfinished. Madison’s head when she came to inspect him. “Madison, don’t pull on Agent Mulder,” her mother chided. 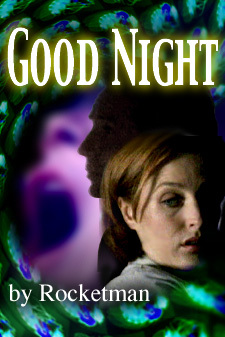 “What was her name?” Scully asked, with a sinking feeling. hadn’t cared that much for keeping him out of trouble. kind of scared me,” Dave said. “Just out of the blue like that?” Mulder asked. to have the child you always wanted?” Mulder said softly. “Excuse me,” he said and turned to answer the phone. “Where are you?” he said, looking at his watch. “On my way. Listen, Mrs. Hall took the blood test results. “I’ll explain when you get here. I’m at their home. right. He didn’t need the two of them trying to be heroes. girl’s life. Marita was very smart in this game. Halls. “Her parents interrupted the program we had her on. “Here…” she whispered and moved to pull herself up. “Really, I’m okay,” she said, but gritted her teeth. “Marita is gone. Looks like her ride *didn’t* leave her. “Any surgery?” she said softly.